We all remember the revolution that brought about the double lens in Apple, specifically in the iPhone 7 Plus. It was not the first manufacturer to incorporate it, but its addition was an improvement when taking photographs , to incorporate the bokeh effect . And this past March we have echoed the triple camera of the Huawei P20 Pro , a device that has left us all with our mouths open for all they can do. The Chinese manufacturer has thrown the house out the window and has made the dream of many come true, a device capable of almost everything at the time of shooting. And of course, in this world there are no false steps and the news was not long in coming. According to the Taiwanese Economic Daily News , Apple could be preparing an iPhone with three cameras by 2019 , specifically for the second half of the year, with the aim of attacking in this segment. 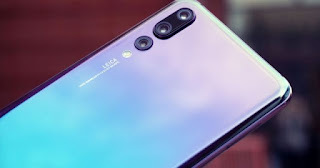 Although at the moment no more data is known about this, we talk about a 5x zoom, but not the type, it is clear that the advantages of a triple lens seem clear in view of what has been seen in the Huawei P20 Pro, a sharpness out of the ordinary at the time of taking pictures at night or in low light conditions, which is where the cameras of the telephones sin. However, KGI Securities analyst Ming-Chi Kuo does not believe that for the time being this short-term possibility is feasible , at least for this year 2018 , in which the successful double lens system that has been incorporated since 2016 will continue to be maintained. Anyway, the ban has been opened and if manufacturers decide to follow the path opened by Huawei, we can enjoy incredible possibilities with our cameras .